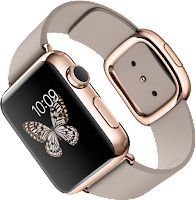 Ming-Chi Kuo of KGI Securities issued a note to investors this week, stating that Apple Watch shipments for fiscal 2015 will be less than what Wall Street analysts have been expecting. Kuo predicts total Apple Watch sales will be less than 15 milllion units for AAPL’s fiscal year, which ends in September. Steven Milunovich of UBS issued a similar note regarding future iPhone sales, referencing a UBS survey that apparently indicates increasing interest in devices from Samsung Elect LTD (OTCMKTS:SSNLF) and waning interest in iPhones. Milunovich went on to explain that Apple’s iPhone retention rate has decreased to 77% from 84% in Q4 2014, which prompted the revision of his iPhone sales estimate to 48 million units for AAPL’s fiscal third quarter. What Does This Mean for AAPL Investors? In all actuality, it probably won’t make much of a difference for AAPL investors if the company sells 15 million watches or 36 million. Several reports have suggested that AAPL stands to make outrageous profits on the Apple Watch, some claiming margins as high as 75%. However, those predictions are based on a teardown of the device and only take into consideration the actual cost of the individual hardware components. In fact, AAPL senior vice president and CFO Luca Maestri stated that Apple Watch margins will be lower than the company’s average. Management guided for margins between 38.5%-39.5% for Q3, which means the profit margins for Apple Watch are likely to be even less. Further, the most popular Apple Watch to date has been the Sport model, which is the least expensive version of the device, priced at just $349. Compare that to the iPhone, which had an average selling price of $659 last quarter and a profit margin of 45%. Since iPhone sales now account for approximately 70% of total revenue for AAPL, iPhones represent a much more significant and integral component of the company’s income stream. No matter how you look at it, AAPL is going to make boatloads of money. The company’s presence in China is impressive compared to other smartphone makers, especially considering that almost 50% of current iPhone owners plan to upgrade within the next year. It’s unclear exactly how many of those iPhone owners will also be willing and able to pony up the dough for the Apple Watch. But, one thing is certain: Millions of people around the world will soon be carrying a larger iPhone and wearing an Apple Watch (some with price tags as high as $17,000), and AAPL stock owners will reap the benefits despite low profit margins.